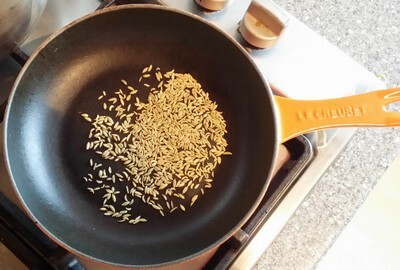 I toasted my fennel seeds in my cast iron skillet to help release aroma and essential oils from the seeds. 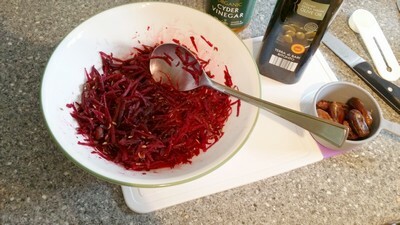 I let my toasted fennel seeds cool, whilst I peeled and grated my beetroot. 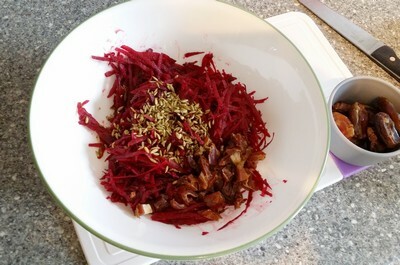 I then added some olive oil, apple cider vinegar and black pepper to help balance the sweet earthy flavors in this salad. 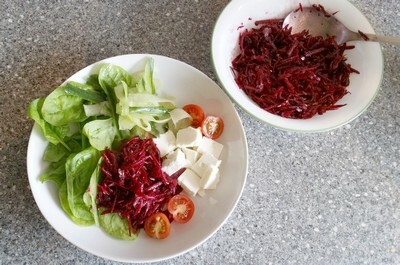 I teamed my beetroot salad with some spinach, tomato, cucumber and feta. Perfect for lunch on this hot day.